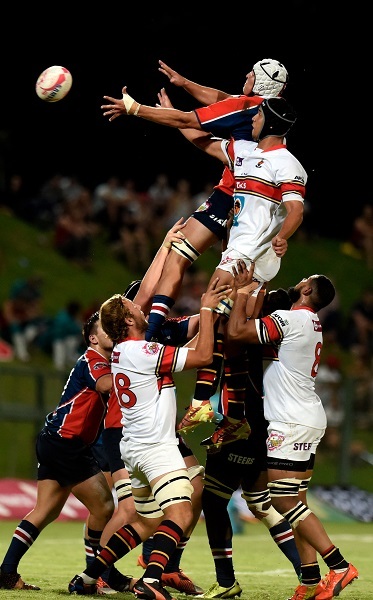 With only one match under their belts – an opening loss to Stellenbosch – the Madibaz have had precious little game time this season, but Bosch said it had given them an opportunity to work on their skills. “Unfortunately, we got off to a bit of a late start and only had three weeks of preparation before the Maties game,” said the Madibaz coach. He pointed out that Stellenbosch were a powerful unit with several SA Schools players in their ranks and that they had taken some positives from the match. “We did well in our lineouts and scrums and were good with the ball in hand, but our defence was lacking. Following the 79-20 defeat, he said victory would be crucial against Ikeys on Monday as the three pool winners, plus the best-placed second team from the pools, would qualify for the semifinals. He explained that Madibaz had been grouped in a pool with Maties and Ikeys, playing each team in home and away matches. Ikeys have lost both their matches to Maties, who are sure to qualify for the semifinals as the pool winners. Bosch said a few players released from the senior Varsity Cup squad would bolster their team for the Ikeys encounter. He said they had a young team in that there were 12 first-year students in their squad. “Most of the U20 players are in their second year, so we lack a bit of experience. The match will get under way at 2.15pm and will be followed by the Koshuis game between NMMU’s Steinhoff Harlequins and UJ’s Chiros at 4.15pm. After a bye this week, the Madibaz senior side will resume their campaign in the Varsity Cup when they meet University of Johannesburg in Johannesburg on Monday. Kick-off is at 6.30pm.